One of India’s largest online grocery stores, ZopNow currently delivers groceries in 11 cities across India. Apart from bringing you fresh groceries, this store also delivers home cleaning essentials, baby care products, personal care products, pet foods and accessories and even office stationery. It also promises to deliver all your orders in 3 hours straight; while Zingoy promises to give you cashback on all your orders from ZopNow! So next time you stock up on your home and kitchen supplies from ZopNow, go through Zingoy and earn cashback on all your orders. 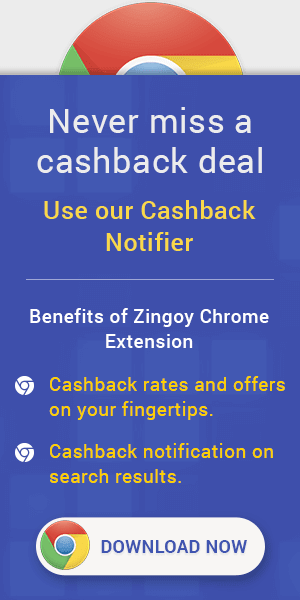 With Zingoy, you can also earn cashback on your friends’ and family’s shopping by encouraging them to shop with your own Zingoy links for ZopNow. Zopnow Coupons, Promo Code & Cashback Offers : Now shop for Staples, Dairy Products, Biscuits & Cookies, Beverages, Snacks, Spices, Breakfast & Cereals, Sweets & Chocolates, Past & Noodles, Tea & Coffee, Sauces, Pickles, Dry Fruits & more. Coupon code is not required. Checkout the landing page for more details. Zopnow Cashback Promo Codes : Now shop for Beauty & Personal Care Products from top brands from Zopnow and get upto 30% discount. Coupon code is not required. Checkout the landing page for more details. Zopnow Cashback Coupons : Now shop for fresh Vegetables & Fruits from Zopnow and save upto 30% on your orders. Coupon code is not required. Checkout the landing page for more details. Zopnow Cashback Offers : Now shop for Home Fresheners, Detergents, Kitchenware, Luggage and other Home & Living Essentials from Zopnow & get upto 40% discount. Checkout the landing page for more details.